Below is a picture of Luv’s grandson XL. To our Boxers with all our love. XL was taken from us in a tragic accident on July 21st, 1997. 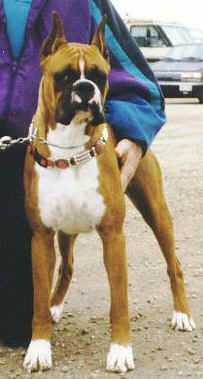 He is waiting there at the Rainbow Bridge with his other Boxer friends. He left us with two beautiful daughters out of his only litter LeXi and Sarah.